I went through a repeat of the lathe threading routine on the Craftsman -- a lot easier with the lathe already set up, and the earlier experience under my belt. I was able to use the old tap, as well to do the final thread sizing. Since the tap is made of the same screw material I will be using, the clearance is very close, with almost no backlash. It was also at about this time that I figured out that the slightly eccentric and relatively close relief bore was probably the cause of my earlier problems. Of course since this insert wasn't in the ram, the tap couldn't jam. And the threading was easily accomplished. And finally a trial fit -- it does seem to be a slight interference fit. I didn't drive it home, because I want to clear out the relief bore -- no sense having the jack screw binding. I guess I'll have to make up a longer boring bar to do it. Might take a while because of springing, but at least this part of the process will be finished. Good Job. Pretty confident that the insert works out better than the original plan! 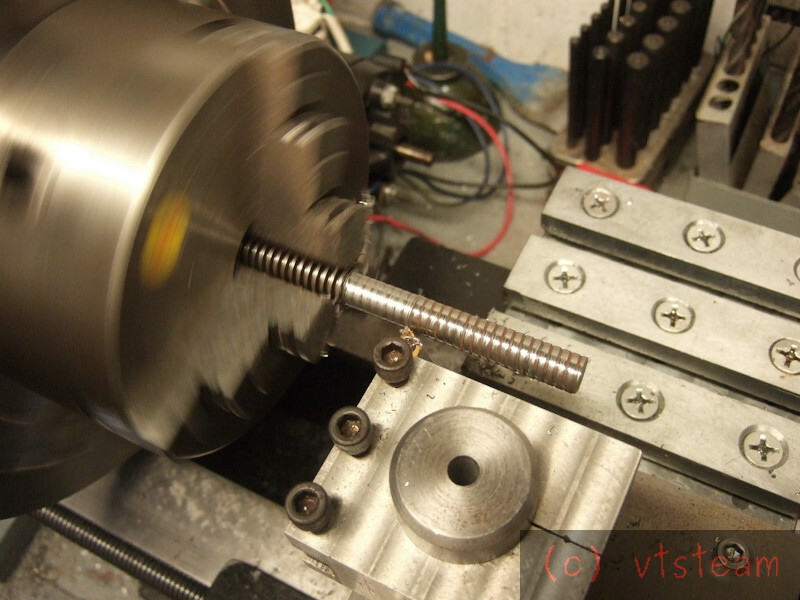 And now i will go out i my HOT workshop and continue with project mill power feeder. I bored the recess wider, and it was definitely slow going with such a thin long bar, but it did cut, and after a trial fit with a piece of acme all-thread, there was enough clearance to press the insert home. Next step was to start on the jack screw. 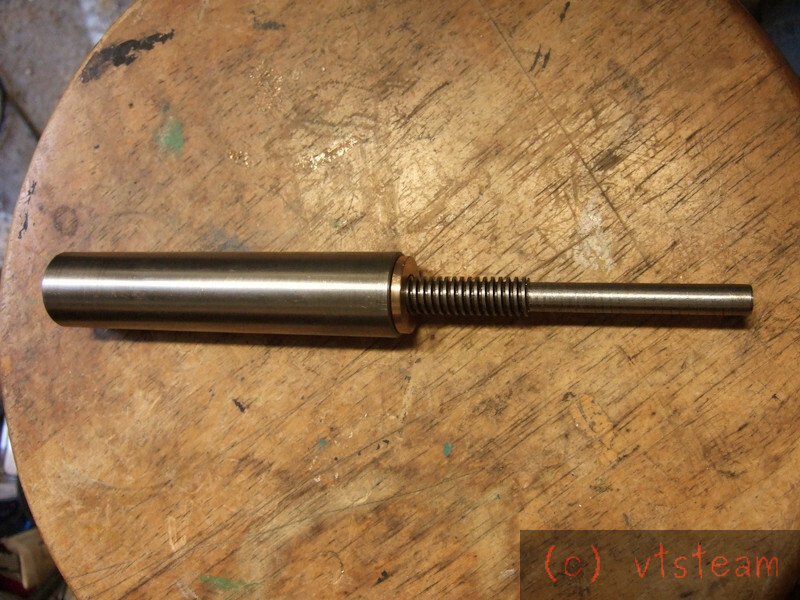 I cut off a 6" length of Acme rod, chucked it in the 3 jaw, and began turning the threads off of a 2-1/2" section. 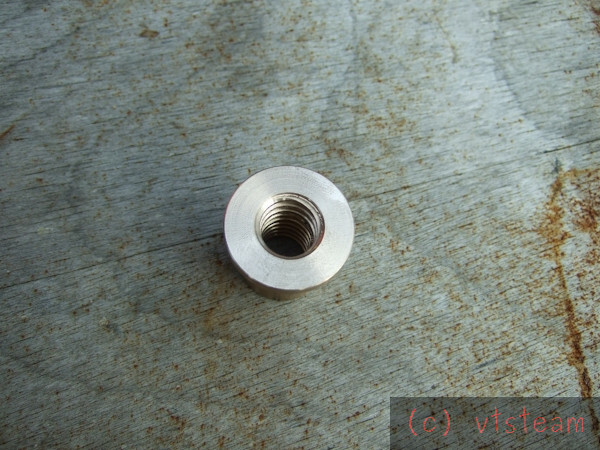 That will be the part that passes trough the tailstock end cap, and will accept the handwheel. 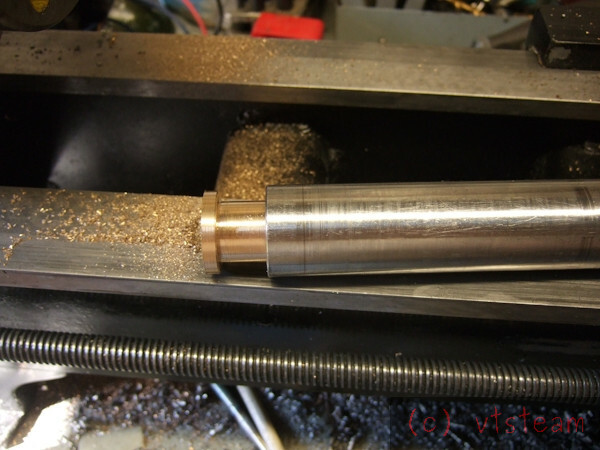 I had the tailstock itself apart, so couldn't use it as a support center for turning off the threads. So I had to take light cuits. But I got there eventually, and it was nice to have the three tailstock ram pieces together and functional. I still need to make up thrust bearings for the jack screw, and mill a groove along the ram to complete these components. But not today. any progress on this nice project ? Checked in on your lathe build and as usual I am not let down. You have done an amazing job and you will enjoy it for years. I love all your documentation and it shows the true craftsman you are. Beautiful build.